Interview with Nicolette Fraillon Chief Conductor and Musical Director - The Australian Ballet. Nicolette Fraillon was just 12 when she set her sights on becoming a conductor. The only problem was all of her role models in the world’s orchestra pits were men. Fraillon’s dream profession was steeped in tradition and females were persona non grata. So what did she do? She studied everything: music, languages, literature, art, history, politics and psychology. She embraced every opportunity life presented, was flexible and became a student of the world. 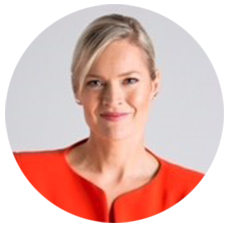 Today she’s Chief Conductor and Music Director at The Australian Ballet, prior to that she was director at the School of Music at the Australian National University. But those first years after graduating from uni in the early 1980’s she was confronted with a range of women in the workplace issues. And that must have sucked. Nicolette Fraillon: What I hadn’t reckoned on at that time was there were very few female conductors, there was maybe one working professionally in the world (perhaps two). Martine Harte: You must have found that incredibly confronting? Nicolette Fraillon: Not confronting in a daunting sense, but confronting in really making me think of issues in a very different way … The majority of students were women; the majority of students who were getting the top marks and topping the courses in every respect were women and yet that wasn’t then translating anywhere, certainly not in Austria or Germany, it wasn’t translating into the workplace. I’m deeply curious to know what characteristics you believe helped you in the early days, why did you ‘push on’ when almost everyone was saying you didn’t have a hope? Courage: to try, to do, to succeed, and, most importantly, to fail. What sustains and uplifts you when life gets a bit tricky as it inevitably does for many of us? Nicolette Fraillon: One of my most important life learnings has been perspective and pragmatism. I was raised with a very strong sort of ‘perfectionist’ father and his side of the family in a very damaging sense. I found that very hard to deal with, developed all sorts of performance angst and would really beat myself up if anything went wrong in a performance or even in a lesson and it was going to Europe and gaining perspective in a whole variety of things that helped me deal with that. I guess on a personal level the darkness still descends as an artist and what I’m doing at the moment involves that, there are very dark moments, but one of the positive things about ballet is that we do so many performances, that it might have been the worst performance …. (and I will always look at myself before looking at what anyone else might have done) and even in the darkest when I might have been wandering the streets at 3am thinking what could I have done differently? I have to get up and do it again. What sustains me is the sun coming up the next day and having another go at it, what sustains me is the profound belief in the capacity of humans for good – as well as knowing our capacity for evil – but a profound belief and optimism in us as human beings. You’ve mentioned to me that you are relieved the place of women in society is on the agenda? Nicolette Fraillon: ..I was very frustrated at ANU (Australian National University) at how non radical the young women were and they thought they were advanced when they actually weren’t. And in terms of my own career as a conductor it has been bloody difficult being a woman. It’s a really difficult pathway anyway, and it has been a thousand, million per cent more difficult as a woman. For a lot of the same reasons it is for a woman in any kind of leadership position. The former P.M.(former Australian Prime Minister Julia Gillard) besides what I may or may not think politically – watching what happened to her as a woman has made me incredibly angry. It is relevant and we haven’t been speaking about it enough. You have blazed the trail for many younger women, thank you for being one of the first, what is your best advice for the female conductors of our future? 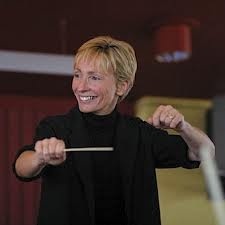 Nicolette Fraillon: To any conductor I would say: prepare immaculately or you do not have the right to stand in front of a group of highly trained experts and try to lead them to a communal, high level outcome. To a female: be aware that, in addition to the enormous obstacles facing any conductor, you WILL have additional ones based on your gender. Do not give up. Do not let them discourage you, but be aware that in order to achieve the success of your male colleagues, you need to be 300% better! Having been married three times and quoted as saying you find marriage a “silly institution” – how does life experience change your outlook on relationships? Nicolette Fraillon: I think marriage is unnecessary: who needs a certificate or the imprimatur from someone else in order to make a relationship work or render it legitimate? Neither, does the imprimatur of the state or church make it more or less likely to be worked at. Relationships are transitional: we all grow and change, as individuals and not necessarily together. One doesn’t need another person to be complete, productive to offer something to the world. Friendship, mutual respect, intellectual compatibility are essential. There is no sense of failure if a relationship ends, it simply has run its course. That doesn’t make the endings simple (far from it) but there is no sense of failure, no regrets. This has been my view since a very young age. I have had at least 10 serious ‘committed’ relationships (they were at the time). There were three marriages amongst those but the marriages were: 1) to make living in Europe easier in terms of visas, insurance etc; 2) the 2nd was to help my then partner avoid being drafted into the German army; 3) was to ensure my first child had the surname of one of his parents (complications of Dutch law, too long to explain). I was ‘in love’ with all of them, and they with me. The ‘marriages’ were pragmatic but only incidental in terms of the actual relationships. The three divorces were simple and painless (the last one, we sat down together and filled out the paperwork online). The father of my children and I committed to bringing up our boys together, despite the separation and have moved jobs/states together to ensure the boys had both of us, close together, in their lives. I am still friendly with all of my exes and good friends with some. Though we ceased being ‘in love’ the friendship, admiration and respect remained. I would also have to say that whilst I love being in a relationship, I also love being alone. One last question; I have to ask this Nicolette, are those lovely toned arms the result of your job? Nicolette Fraillon: Thanks for the compliment. Yes, it’s all conducting. People often ask what kind of work out I do the answer is, that it’s all conducting. Try doing arm aerobics for 6-8 hours a day and your arms will look the same. WANT TO HEAR MORE? Head to the ballet www.australianballet.com.au/. Tagged in inspiration, music, the arts, women trailblazers.